Just in case you’ve been living in a cave for the past week, you might be newly horrified to learn well over 200 girls were kidnapped by the Islamic jihadist group, Boko Haram. The Boko what? Oh, Heidi, why do you bother me with this stuff? They are just a group of crazy extremists… You know, way over in Africa. Seriously, they are so far away it really shouldn’t bother you at all. It’s not like Sharia law is remotely happening in the US, (Dearborn, MI). Started in 2002 by cleric Mohammed Yusuf, this group has a 12 year history in Nigeria. Boko Haram, which in the Hausa Language can be translated to mean, “Western education is sinful” is opposed to the education of women but, frankly, boys and teachers aren’t immune to their homicidal mania. So, there was this little one, the other day at the place where I was sitting, sipping my black coffee out of a real mug. I could see that every blond hair was precisely in place, each square centimeter of his expensively styled outfit a perfect complement to his mother’s managed persona. He carried a pristine bear and his shoes, un-scuffed, walked across the floor of the coffee shop, so very carefully. Sitting with feet dangling off the tall chair, drinkng lukewarm cocoa out of a straw while his attentive mother dabbed at spots and smoothed wrinkles. Perhaps they were on their way to a fab photo shoot. I suppose, if I hadn’t seen so many costumed tiny children lately, I wouldn’t be writing this. These thoughts never occurred to me when my spiky-haired boys were this age. You know what was missing from his scrupulously clean face? A smile. There were no inquisitive eyes darting around the brightly colored interior of the shop. In every other way he was normal in his mannerisms and engagement with his mom. Yet, there he was in a conspicuous absence of sizzling, little boy energy, sitting so still. Read the rest at HeidiStone.Net and let me know what you think about this trend in parenting and child-rearing. In my mind and heart, Dad is standing right in front of me. Strong, olive skin, gray eyes flashing at the spark of some deep thought or ready to deliver on of his famous lame jokes. He’s larger than life and ready to take on the world. This is the man who travels and reads poetry, who shares and lives every moment to the fullest. He’s the one who first said, “I’m going on a walk up into the hills so I can meditate on the Lord”, and my introverted heart leapt to know that being alone was worth seeking. Long ago he wrote a poem about wanting to end the race with his “army boots worn out.” We can see the holes today . The worn out leather and threadbare laces. But he’s still my Dad and the little girl in me wants….. 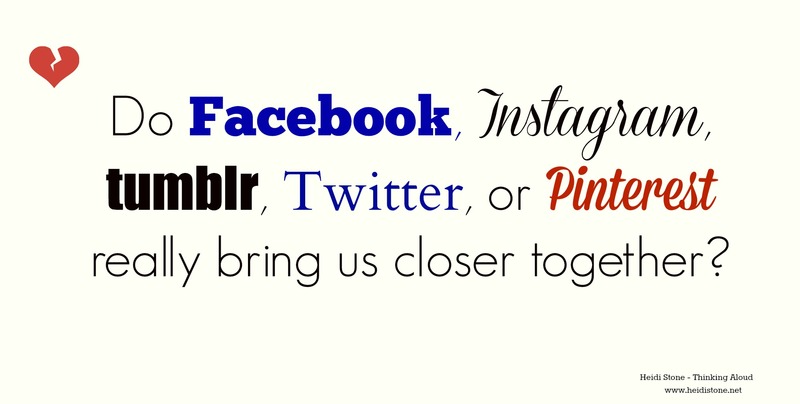 Writing about the loneliness of social media was an eye-opening experience for me. It was more transparent than I am accustomed to being and, I think maybe, a little uncomfy for you, my friend. Yet, in spite of or maybe because it is awkward for us to examine closely, I believe it remains an important conversation to engage. My children think I live a pseudo-life through the computer and frequently inform me I should “get out more”. Of course, as brilliant and on-fire extroverted teens, they not only hold the market on all wisdom and insight (just ask them, they’ll tell you) they are absolutely dumbfounded by my happily introverted reluctance to fill my world with as many faces as possible. I can easily forget the world around me while enjoying a safe, busy, consuming, and completely imaginary life. It wasn’t until I became conscious of this little truism, how “I have never been aware of loneliness as I have since the Internet revealed how I should live…” that I was able to see how I had made a critical, blue-screen-of-death quality error. 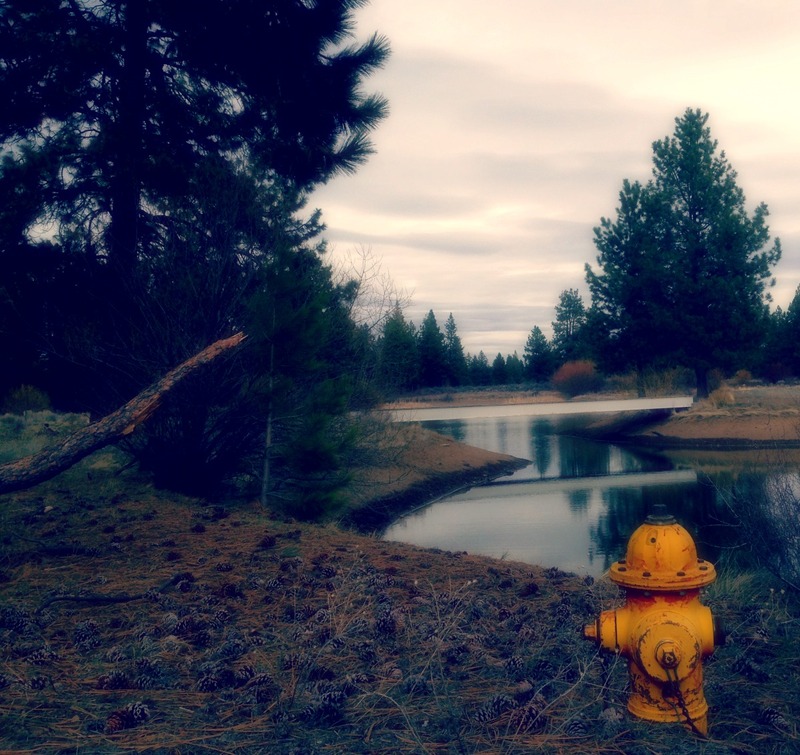 Comparing the brilliant, Photoshopped, perfectly posed imagery to where I was living…. Who are we becoming when we share so much and know so little? Has the Internet become nothing more than a mass media, billion-member strong reality show? Come visit over there, subscribe, and keep up with the latest and greatest where thinking is more than allowed (aloud), you see what I did there? http://heidistone.net/ Seriously, click on the linky-poo. “The New B Word” about feminism and milk cows, issues that REALLY matter to women, and freedom of speech. It’s a good one, yo. What you believe about forgiveness will, ultimately, intimately, powerfully, impact how you see God. If I believe God denies my sin, I won’t believe I need forgiveness. If I believe the sin in my life is allowed to be shoved deep into a hidden drawer and forgotten, I will fail to learn the lessons of my humanity in relation to God’s perfection. I will deny God His heart’s desire to redeem the pain in those moments and offer incredible beauty from the ashes of my foolishness. If I believe the work of reconciliation is less than a small-scale representation of God’s grace worked out in the details of our own lives, I will despise the work He does on a grander scale. If I believe all these lies, eventually, I will conclude I don’t need to do anymore in my spiritual walk than to tell God I’m sorry, over and over, until the rote-ness of the words mean so little I don’t even bother to say them. That’s why this is important. Forgiveness is the roadmap to God. It is His hand, extended in love and reaching down to us in our failure and broken nature, which He offers to lift us up. Our moment to touch the Divine is found in repentance, walking away from our rights to hold the filth of both owned and unacknowledged sin and selfishness. Like children crying out for Papa, all we need to do is reach UP to His waiting arms. 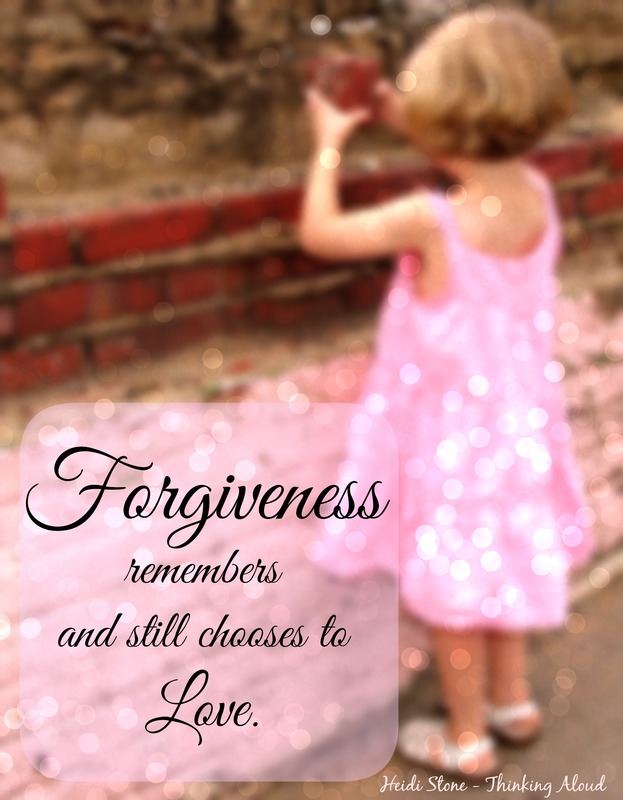 What we believe about forgiveness impacts our families, our friendships, even the way we speak to ourselves. It’s easy to throw stones at people who don’t act in the way you believe carries meaning. Maybe you don’t like what they have to say. “You don’t speak my love language” becomes a weapon thrown at each other to explain away the bitterness that fuels the feeling our needs aren’t being met. This bitterness largely comes from being held to a standard where humility is necessary. In those moments when it can become painfully obvious this does not come naturally to any of us we have the choice to listen or to harden our hearts. If someone loves us enough to hold us accountable for our actions, the first reaction is to be uncomfortable. Accountability touches the places we hide our weaknesses and shortcomings behind a childish repetition of excuses and justifications. We want something or someone else to blame for the words we speak, the accusations we make, the pain we cause. We even resort to hiding behind a pseudo-apology that, somehow, puts the blame on someone else for putting us in the place to behave badly. We desperately try to shift the weight to someone’s shoulders and that Someone is most definitely Not Me. Walking according to a godly standard of behavior, and following the example of the Holy Spirit who works Perfectly in the area of redemption, I would urge you to use the following elements to your life and your relationships so you can find the Goodness of God in the middle of your painful circumstances. Assume you are capable of hurting others. Understand no one involved will ever be faultless in the situation bringing division between two formerly close friends. Examine yourself honestly and be specific about how you failed either in the events leading up to the nuclear bomb or in the events after the explosion. Quickly forgive those who hurt you, knowing full well how much God has forgiven you. Refuse to make excuses for your sin. Repentance, ownership, and humility are critical to bringing peace. Daily offer to your Heavenly Father the hurt and confusion, the hunger for vindication and justice, and the temptation to withdraw your forgiveness as the one who wronged you continues, unrepentant, to defend their behavior. Feed the lie that the only one responsible for the current situation is the one who has chosen to withdraw from the unrepentant party. Quit praying for the person who hurt you. 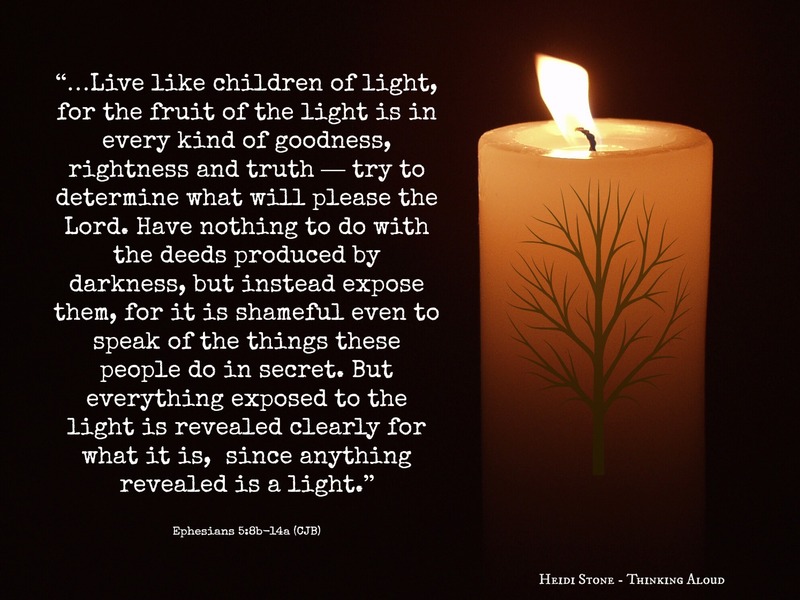 And above all, live as children of the light in every kind of goodness, rightness, and truth. Awkward hugs are, well, awkward. Yet, not since hugging was invented can there be displays of affection more horrific than when two people, believing that one phrase can erase both pain and consequence, find themselves caught in the eternity of seconds as they embrace. They are living a lie. This one. If you “really forgive someone” you’ll instantly be right back at the corner of friendly and awesome. Our guilty consciences play terrible games with broken hearts. What if we aren’t feeling it but believe the myth of an instant and automatic outflow of warmth, joy, and displayed friendliness because we verbalized three little words. Admitting you said or thought “I forgive you” becomes the adult version of the Get Along Shirt where the person locked into it with you is the very one who knows the precise location of every bruise. Forgiveness isn’t a simple mind over matter issue for anyone. The greater the personal trespass on my soul, the more shattered and slivered I become, until, maintaining a focus on intentional forgiveness requires so much effort I often lack the ability to do more than remain very still and make feeble attempts, by sheer determination, to function as normally as possible. Not all cracks and rifts are equal. Some heal quickly, with minimal scarring, while others will change everything about us. Simple apologies, a word of forgiveness, alone or even together, will never offer enough substance to rebuild. To be candid, there are no clean breaks between people. This type of damage is like two pieces of paper glued together then ripped violently apart. Neither remains whole. No one can honestly deny the shredding happened. Nobody looks good later. Those prone to anger get angry and those prone to silence get stony-faced. Those who weep do so and those who didn’t see it coming sit in stunned quiet for a very long time. 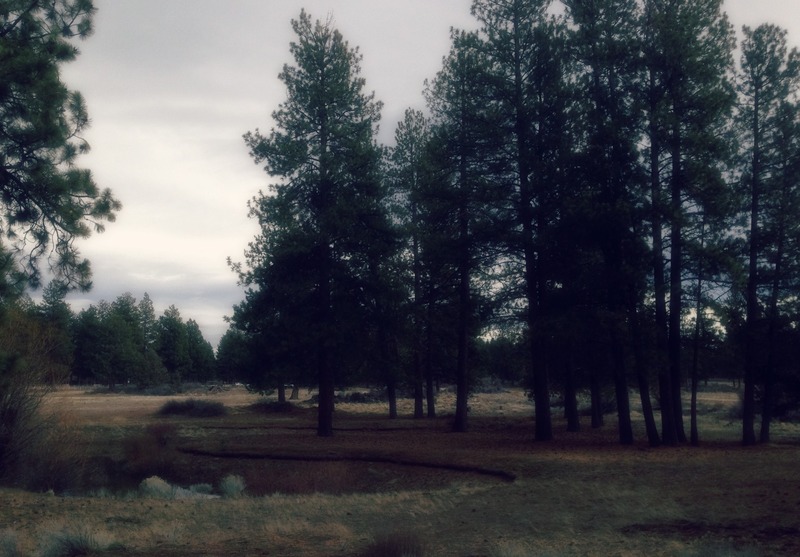 There is an abandoned golf course near where I live. We walk on spongy ground where green plastic mesh shows through what remains of a fairway. Left to the wild animals and elements, the emerald greens and pristine whites one would expect from the premier course it was intended to become are faded into winter’s dull grays and browns. Ponds lie half-empty and algae filled while bridges have deteriorated into the skeleton of a place once filled with promise and hope. An entire neighborhood sub-culture once planned around the idea of resort living in your own home has turned into a graveyard to ambition. Agreements failed, water rights arguments waxed long and eloquent, until all that remains is only vaguely seen in the atrophied debris of a dream. Investments were lost. Fortunes shattered. Now only emptiness and graffiti covered outbuildings with broken windows remain. Sometimes, friendships are like that. We have a plan and declare, confidently, that this time we will be beautiful, magnificent. You are my dream come true! Excitedly, we share life and live closely together until there is little more than distance that separates us. Until… The sharp words, the brokenness, and the thorny places all contrive to drive us apart. Blindly retreating to our separate corners, shaking off our initial surprise, the silence prompts us to start examining what remains of our dream. Yet, even when apologies are made there is more we need. Even if there is no apology and yet, stalwartly, we have walked through the motions of forgiveness in our hearts and minds, something is missing. This is different from forgiveness in that it requires an apology, the humbled acknowledgement of hurtful behavior and choices, from the offender and the offended must consent to let go of the very, righteous and justifiable right to remain angry. We have to be willing to become compatible again. Taking the shambles of our friendship, our marriage, our parent/child relationship, and then commit to work shoulder-to-shoulder doing whatever is necessary to rebuild. 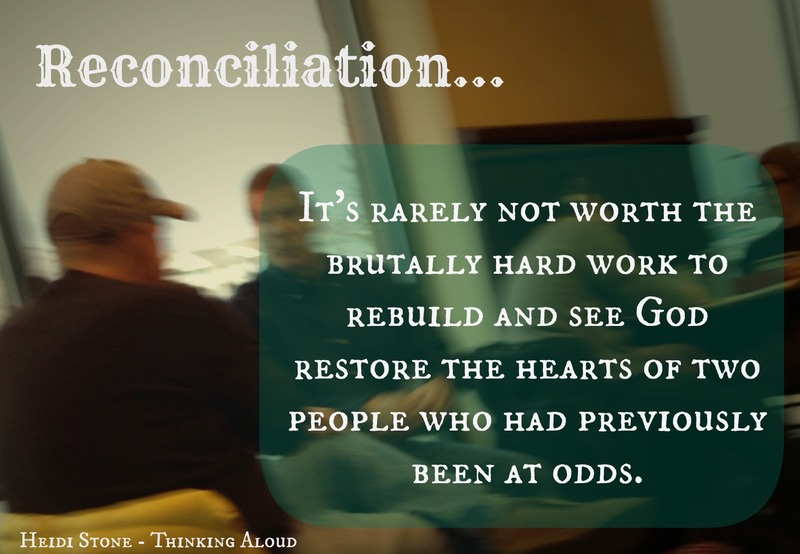 The choice to take part in reconciliation happens over and over. It begins with being willing to recognize, honestly, when someone was wronged. Yet, beyond just seeing, it requires the offender to refuse to hold any personal right to defend their actions. 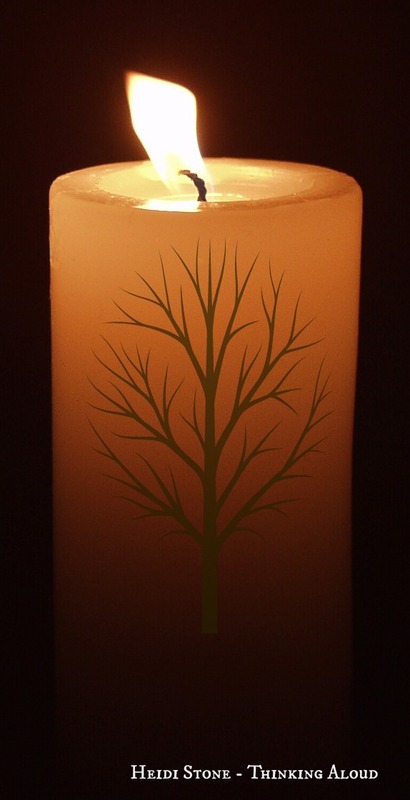 Even more dangerously, reconciliation forbids the wounded to indulge any vindictive desire to punish their attacker. If I hurt you, even if I lacked intention, I was wrong. If you hurt me, even if you fully intended to do so, it is not up to me to ensure you to feel the “full weight” of your actions. We serve a Judge who sees all and metes out the right consequences in His own time. I can’t tell you what reconciliation looks like for you and your offender. There are too many variables. But without the beauty of reconciliation and the hours, weeks, years even of work it will take from both of you to diligently pursue godliness, you will never, ever see the beauty of a friendship restored, stronger than before, shining with Grace and the worthwhile brilliance of redemption. Forgiveness will not always lead to reconciliation. Sometimes the friendship is over and best laid to rest. Yet, it is rarely NOT worth the brutally hard work to rebuild and see God restore the hearts of two people who had previously been at odds. Reconciliation will always lean heavily on forgiveness. Just as we need oxygen to exist, forgiveness is the fuel driving us to reconcile and find grace, compassion, and kindness within the rubble. But to say one hasn’t forgiven because there has been no reconciliation is a nasty lie intent on keeping you from seeing the freedom and joy God has for you when you forgive. When there is no repentance from the one who broke your heart, you can only offer forgiveness. Reconciliation takes two. Meeting a friend for coffee on one sunny afternoon, I was happily sitting at a table for two surrounded by people busy with their laptops, journals, and losing myself in thought while conversations buzzed around me in a pleasant hum. I looked toward the front to see her at the counter ordering something decadent as I sipped carefully at a black Grande coffee. Venti cup, add hot water, no room for cream. In the middle of this quiet, peaceful moment, a pair of glass and steel double doors opened with a whoosh and in walked That Man. Instantly, my blood boiled, my heart raced, and my fingers tightened dangerously around a paper cup of very hot coffee. It took all I had not to stand up and make a scene. I settled for the deadpan, “I’ve never met you before, you aren’t even interesting, and you mean less than a hairball to me” look. It somehow seemed appropriate and really helped me not to feel powerless when forcefully reminded of the pain and injustice he represented to me, to my family, and to so many others in this community. Surely that is what bitterness looks like, right? How could someone who had forgiven remember a litany of situations? Except, Paul was talking about courtrooms and lawsuits between believers. That, liebchen, that is a whole other kettle of fish. If it were reasonable, or even POSSIBLE to expect someone to forget when they have been wounded, then there would be no need for a Wonderful Counselor, David would have had no reason to write Psalm 41, and Jesus wouldn’t have whipped money changers. When all has been forgiven and laid to rest in the past/future, it should never, ever, EVAR be spoken of again. But, that isn’t how we are made. 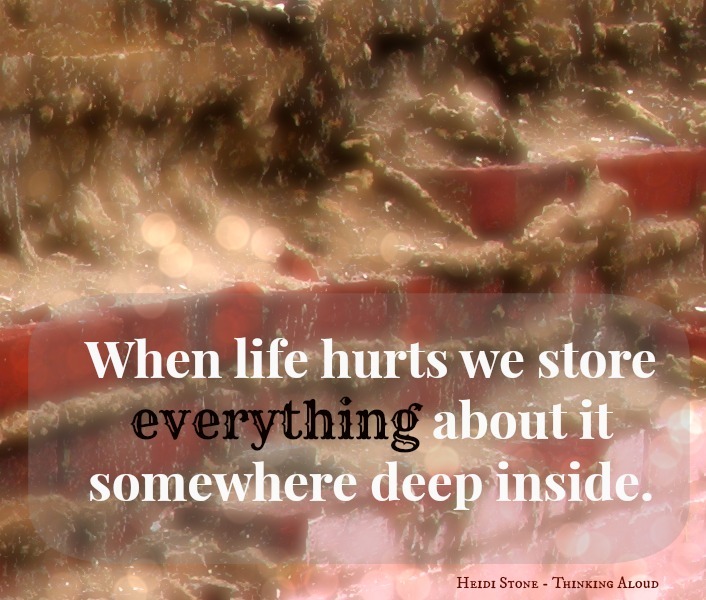 When life hurts we store everything about it somewhere deep inside. Sometimes more clearly than delirious happiness. Even when we lose the sharpness of a memorized statement, bruised feelings, aching hearts, and bitter tears will echo back through our mind’s eye. “Forgiveness means I forget everything you did to hurt me”and this monstrosity keeps us held hostage to unexamined and unresolved, well, everything. And that, oh, THAT is an ugly thing. I will never forget that moment, his pale face, and how powerless and trampled I felt. It was as though I had been gutted. Somehow, in spite of all the anguish, many of the faces involved in that moment of excruciating pain have become dear to me again. We don’t think about that situation or those terrible months very often anymore. We have rebuilt. There was forgiveness offered and received within weeks of that initial situation. There has been forgiveness walked out for over 7 years. But forgetting? Could we turn hours into emptiness? Could we force this situation to be simply disappeared from our collective consciousness? Not possible. Forgetting pain is not only impossible, I believe it is wrong. To dismiss the pain endured, survived, or even caused, can carry the weight of losing a priceless opportunity to develop empathy. 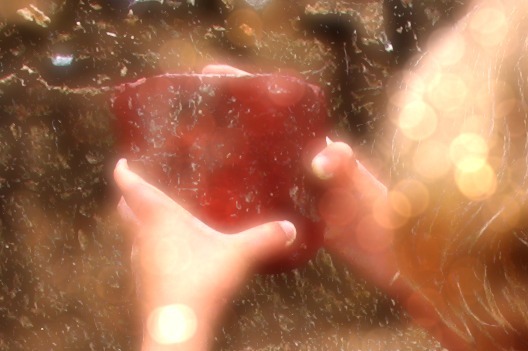 Our emotional reservoir for compassion is quickly depleted without a focused, intentional, influx of healthy empathy. There’s another reason forgetting is wrong. By not only suppressing the harshness of our experience but abandoning it’s lessons, we lose the wisdom and discernment that can be ours through retrospect. God, who is often invisible to us in the present, becomes very tangible, very real, very present when we see Him from the windows of our future selves. Practicing forgetfulness makes us lose sight of moments with a distinct potential to become cornerstones, foundations, and hedges of protection. Fundamentally? If we are going to be naked here? We don’t really forget. We just refuse to look at this ugly thing. By denying it, and pressing it down, hiding it behind a stoic front, and waiting for it to abscess we are setting a timer for our own destruction. Eventually, it will spill putrid bitterness and impotent rage onto everyone in our path and we will become the very thing we have dedicated ourselves to not becoming. Grace demands a higher price than the emptiness of avoidance when it has covered a broken spirit. Grace demands that we remember and yet, still choose to love. See, because I remember and yet have forgiven,when That Man crosses my path and I recoil from his unrepentant actions? I still pray for God’s blessing, kindness, and love to be abundant in his life. “If you were a real Christian you would leave it in the past.” he said, scowling behind a face full of anger and frustration. Forgiveness means I pretend nothing bad has happened. All too often this gross and terrifying perversion of truth becomes the mantra by which women keep getting beat up, men return, broken and crushed, to unfaithful wives, children abused in silence, and we all keep working diligently to please those who are unwilling to acknowledge that any of their own behavior was destructive. We exchange the kindness and grace of forgiveness for a contract to endure further abuse in silence and it’s a contract signed in blood, tears, and heartache. So, here’s the truth of it. When Joseph’s brothers beg him for forgiveness, in Genesis 50:17, they are asking him to take a stand “above it” and to “lift off” the weight of the trespass. When used in the New Testament, forgiveness speaks of letting go of a “mutual claim” or “sending away” the offending issue/person. That my friends, is how we approach our Lord, is it not? And we are to be like Him!! In the life of a Christian forgiveness is a requirement to live honestly. When I think of His great love and compassion, a Divine and unending benevolence when I deserve it so little, then offering that kindness to another for their actions becomes a much more simple concept. I know I have been forgiven much. I will love much. I choose to do so. I must. Yet, this can never mean I am going to walk, blindly, head-on into a sucker punch when I know that is how you roll. Every blow after the first becomes a choice to accept abuse. Having gained something from our shared experience, which you might call criticism, judgmental, or bitterness, our relationship is irrevocably changed. Through wisdom and hard-won discernment I can forgive you wholeheartedly and still walk cautiously around you. But, I didn’t arbitrarily change the situation, you did. We did. Whether by something we did or didn’t do, we’ve changed course. 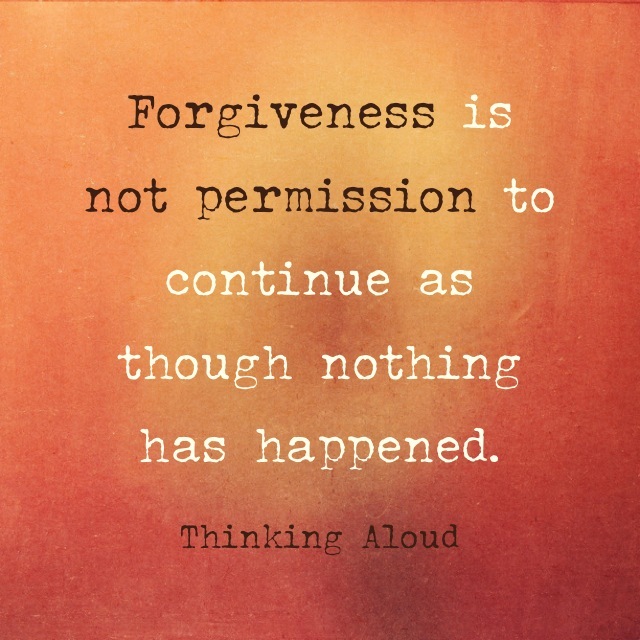 Forgiveness has nothing to do with the offender. It has everything to do with me recognizing the inflicted pain of your actions and choosing to let go, lifting the burden and putting into hands far greater than mine. I do this so bitterness won’t find fertile soil and the poison doesn’t spread to the rest of my soul. Honestly, forgiveness is the easy part. Repentance and reconciliation are much harder, although they will seem effortless when compared to the process and beauty of restored relationship. But, repentance looks backward just long enough to see the deviation and recognize the harm done before determining to acknowledge, apologize, and make a radical 180 degree change. And unless we look back at the carnage, we can’t reconcile. Without reconciliation, there will be no restoration. BlogHer – Check it out! Observations of a Jesus-loving, self-employed, purse-collecting, shoe-obsessing, non-stop talking, homeschooling, somewhat musical, connoisseur of fine words, food-loving, thrift store shopping mother of boys, married to the love of her life and always wanting date night kinda girl.